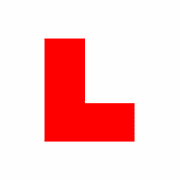 Did you know that any vehicle driven by a learner driver must display red L-Plates. Exceptionally in Wales, you can use also red D-plates. L plates must be clearly visible to others from in front and behind of the vehicle. When do I need L plates? Where to get L plates? Remember that you may get up to six penalty points if you don’t display an L plate on your vehicle. Also you may get £60 fine if the L plates are not used. It is also important to use them for safety reasons. Place one of the L plate to the front of the vehicle and one to rear. 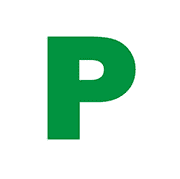 After you have passed your driving test, you can use P plates. Using P plates is not mandatory. You may get up to six penalty points if you don’t display an L plate on your vehicle.